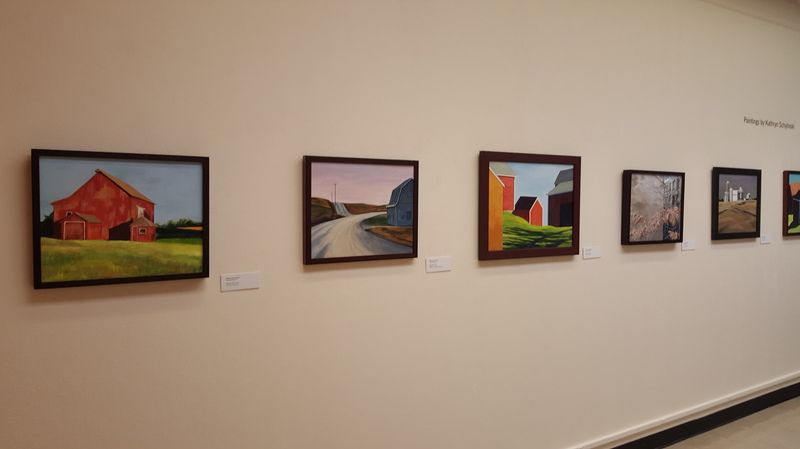 There is a small gallery to the right of the entrance at Schweinfurth Memorial Art Center in Auburn, New York, called the Gallery Julius. It is a space reserved primarily for emerging regional artists who send work to the art center’s curator for consideration. Common Places is the current exhibition: photographs by Willson Cummer of Fayetteville, New York, taken while on hiking excursions to parks near his home. He and his wife are kindred spirits, the term for people I meet on the road-less-travelled sections of the trails at Green Lakes State Park. We have that in common. These photographs also have sunshine in common, and a sense of serenity and timelessness. There are ten similarly-sized and framed photographs in this show, all priced at $650. These photographs are from my project called Common Places. I use a few word plays to develop the concept. First, I made these images in parks — places held in common, set aside from private development. Also, these pictures are of unremarkable places. While I love to climb in the Adirondacks this work is about common parks near my home in Fayetteville, New York. Finally, I am interested in the use — primarily in the 1700s — of the commonplace, a scrapbook of sorts in which people collected stimulating quotes, letters and printed items. These pictures are my commonplace. 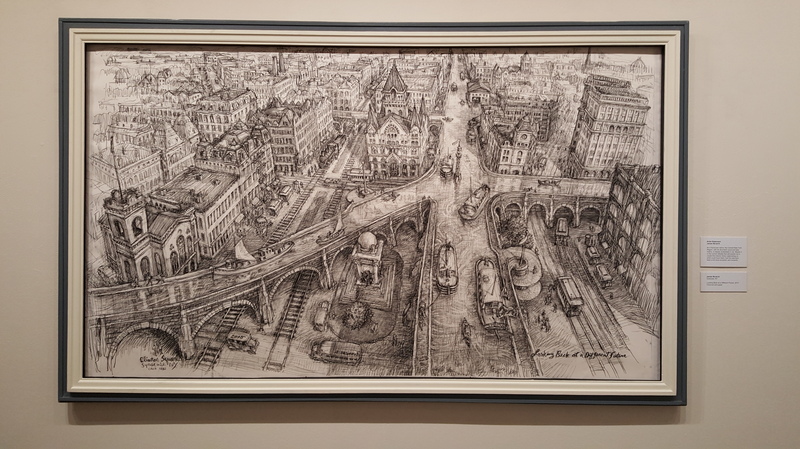 All current spring exhibitions will be on display until May 12, 2019. 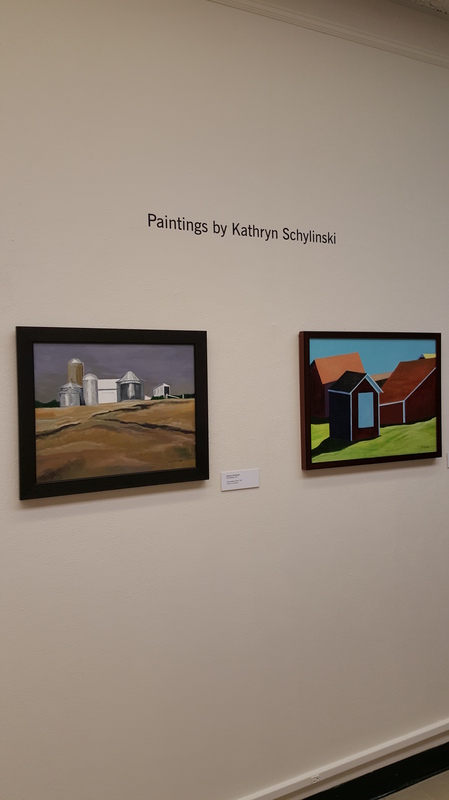 The Schweinfurth is open Tuesday-Saturday 10 am – 5 pm and Sunday 1 pm – 5 pm. Admission is $7 and free for exhibiting artists, members and children. 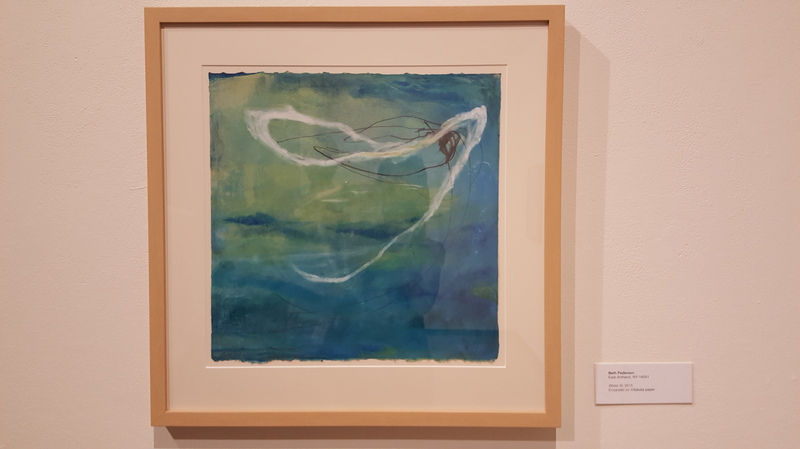 The latest incarnation of the Made in New York show at Schweinfurth Memorial Art Center in Auburn, New York opened last night. It runs through May 12, 2019. 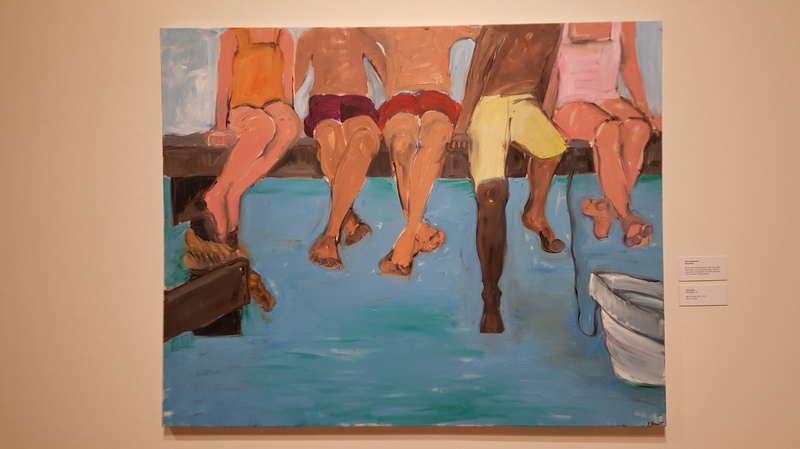 This is a juried exhibition. This year Anne Novado and Marie Via selected the pieces. Sixty artists (all of whom are New York state residents) are included here. The work is in the gallery’s Main Gallery space, which includes several smaller rooms within the space. The overall theme seemed to be one of nature and the idea that spring is in the air. 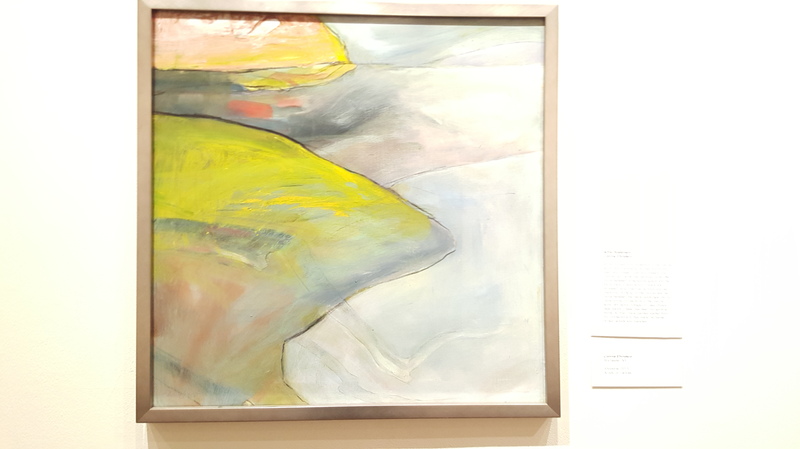 I saw predominately yellows and oranges in color palettes, and a number of pieces with trees, as well as birds and bees as subject matter. It is currently spring in New York, so this does make sense, although no one told Mother Nature, who decided to smack us with blizzard-like conditions for the drive home. 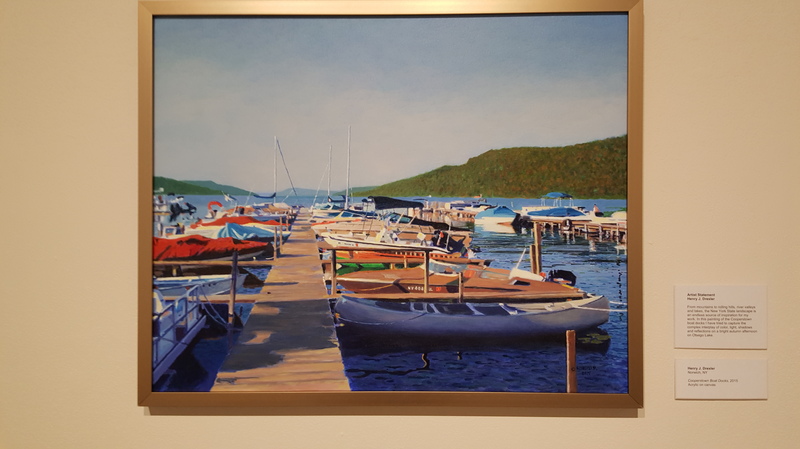 Several artists received monetary prizes for their work including John Fitzsimmons who received Best in Show for his oil painting titled “The Voices of Those” (below left). 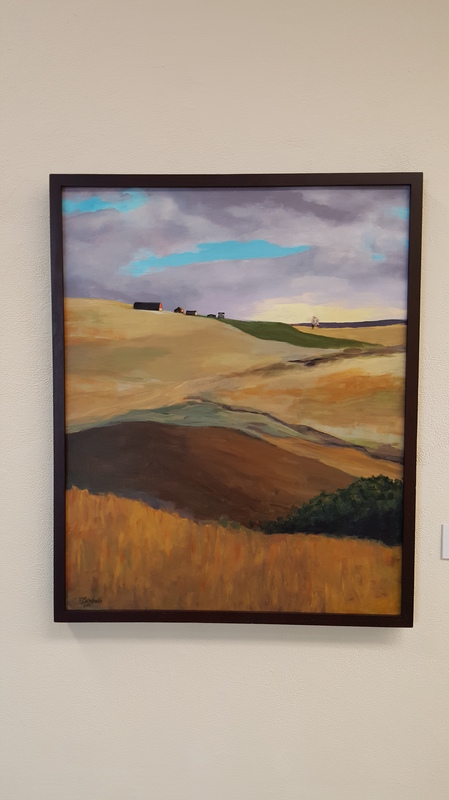 Other winners included David Higgins, First Prize for “Loomis” (below), Stefan Zoller, Second Prize for “Skeletal Trees”, Russell Serrianne, Juror’s Choice for “Continuum”, and Faithanne Flesher, Juror’s Choice for “Floodfires”. The gallery is hosting several events during this exhibition. 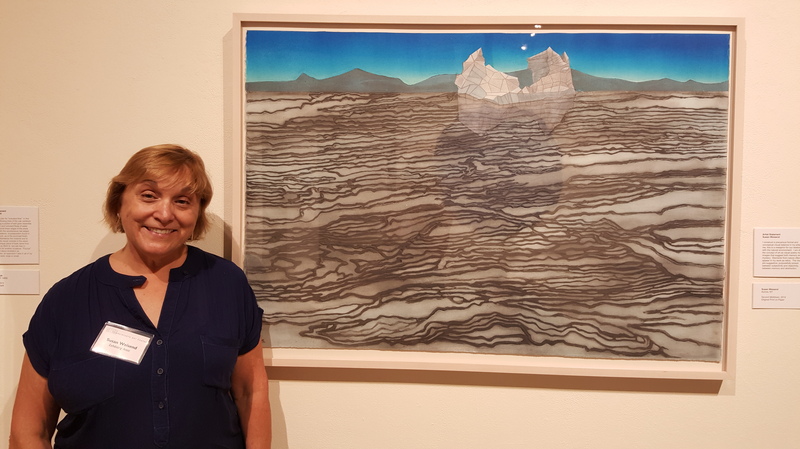 On Saturday, April 27, 2019, Stefan Zoller will demonstrate an image transfer technique and on Saturday, May 11, 2019, Sally Hootnick will demonstrate working with wax. Both presentations will begin at 1:00 pm on their respective dates. 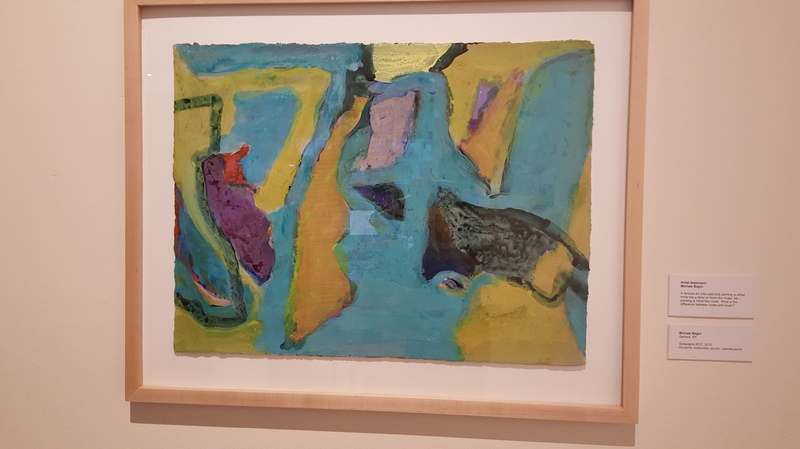 Other events: First Friday celebrations on Friday, April 5, 2019 and Friday, May 3, 2019, and several educational activities. See their website for more details here. We are heading into better, non-white-knuckle driving conditions, which will make the trip to Auburn (about 40 minutes from Syracuse) a satisfying one. It is sunny with dry roads as we speak (read: as I write). There is more art too. 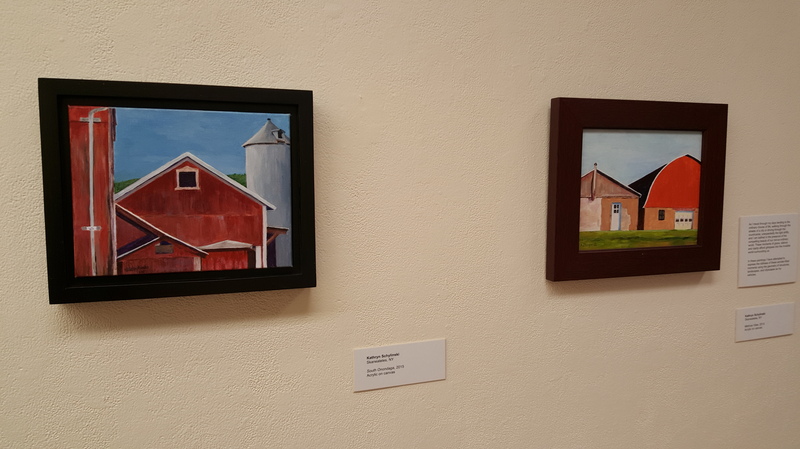 The upstairs gallery is the temporary home of Double Vision, paintings by Pennie Brantley and Robert Morgan. Willson Cummer’s photography show, titled Common Places, currently occupies the Gallery Julius. Auburn, New York has a First Friday thing. Seventeen venues were open last Friday evening with special happy hour deals and art exhibits (including the Cayuga Museum, Seymour Public Library, Seward House Museum, The Copper Pig, Moondog’s Lounge, Finger Lakes Artist Co-op, and the Schweinfurth Memorial Art Center to name a few). It was another gorgeous summer night in Central New York. Joyce, Janine and I met at the Schweinfurth. Edgy Folk played outside to the crowd of people who enjoyed a free mini-painting workshop. 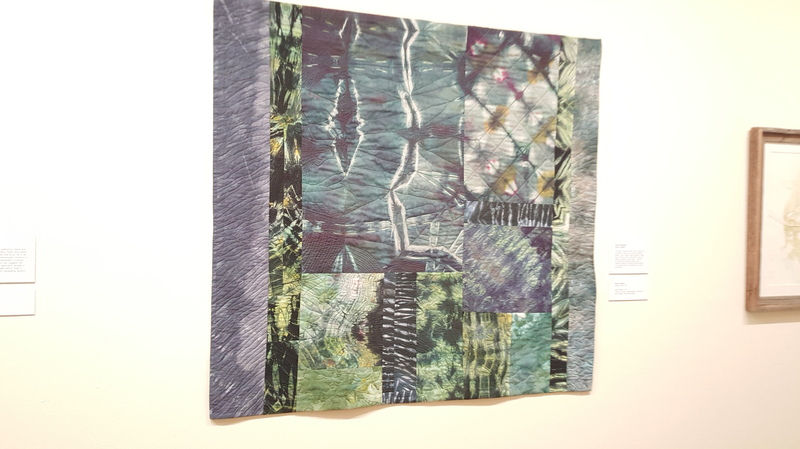 Inside, we viewed the exhibit – Transgressing Traditions: Contemporary Textiles from the Surface Design Association. This is an international exhibition of textile work from sixty-five artists. People from all over the nation, as well as from Canada, Hungary, Korea, France, Germany, and the UK! 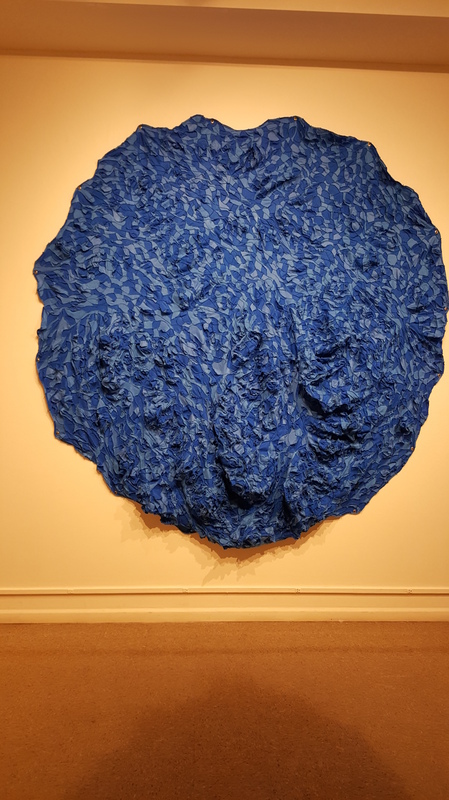 The Schweinfurth is such a beautiful space and this work looks AMAZING in it! So modern! It is just so incredible what artists are doing with traditional sewing techniques. 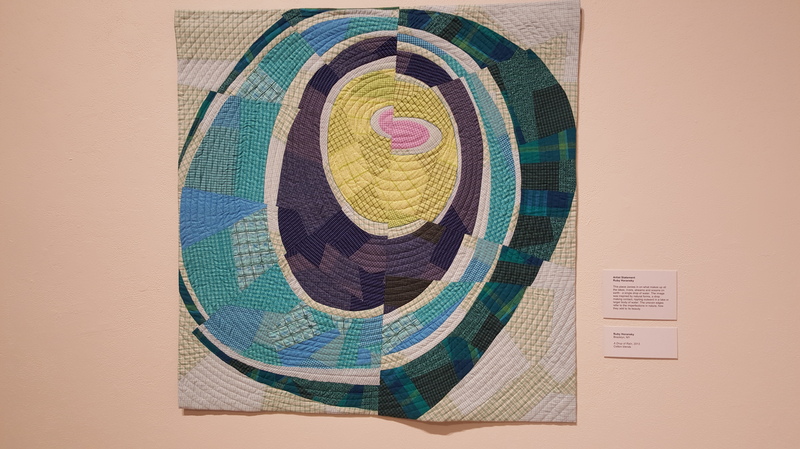 These are not your grandmother’s crochet and knitted afgans – my grandmother, while being known as the best crochet-er in New York State as acknowledged at the New York State Fair for many years, never created her own patterns or took the art to another level the way these artists do. The show continues through August 21, 2016. Last night was just magical. I wanted to go the Schweinfurth Art Center in Auburn, NY. 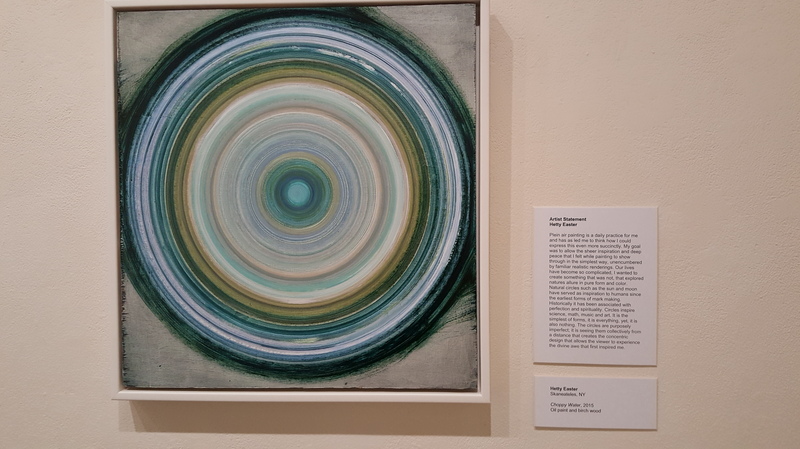 There was an art reception for Water Effect – Art Inspired by Water, but I had a power headache brought on by a dumb sinus infection that has been bothering me for more than a week. I was able to finagle a last minute appointment with my nurse-practioner, got the meds, popped into Panera Bread for a strawberry-banana smoothie and miraculously felt better than ever! In less than forty minutes, I arrived. 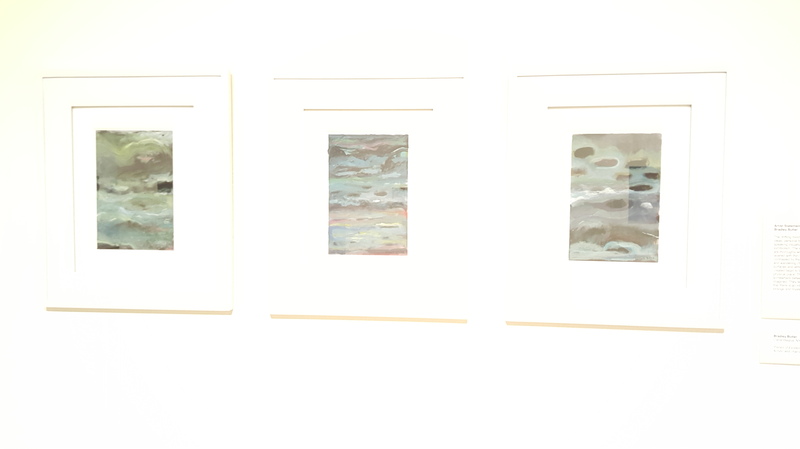 And as soon as I walked in, I saw my friend Katie Turner and her husband Ralph, two of my favorite people in this universe – we only met last year when she exhibited her Terraskin watercolors of flowers in the Chittenango Middle School library, but we clicked like life-long friends. 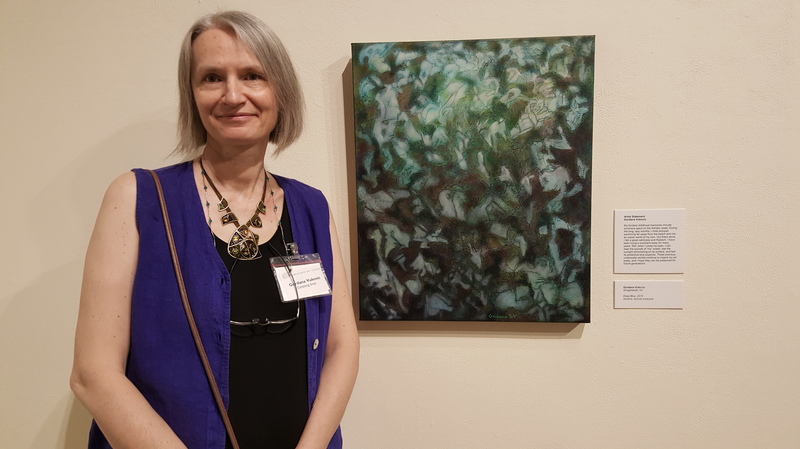 Here she is next to her piece, The Pines ($275). 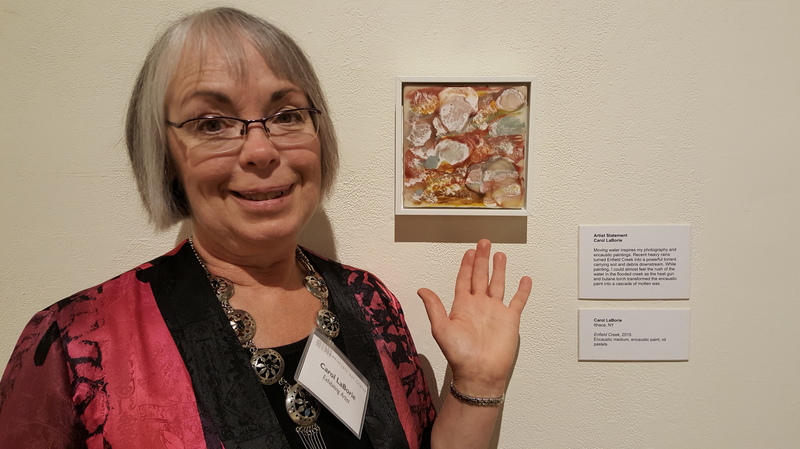 Carol retired from a non-art job and is now a full-time artist who has studied encaustic technique under a number of artists, often going to workshops and artist’s retreats. I just loved her enthusiasm and passion! 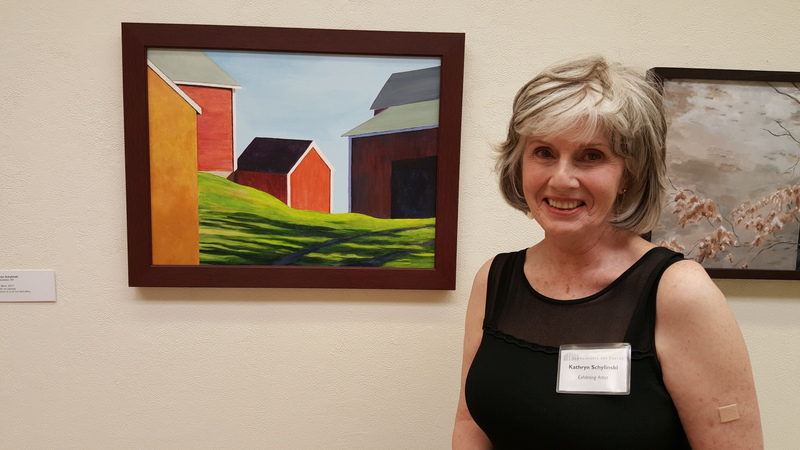 Fifty-three artists from throughout the region are represented in this exhibit, which continues through October 18, 2015. 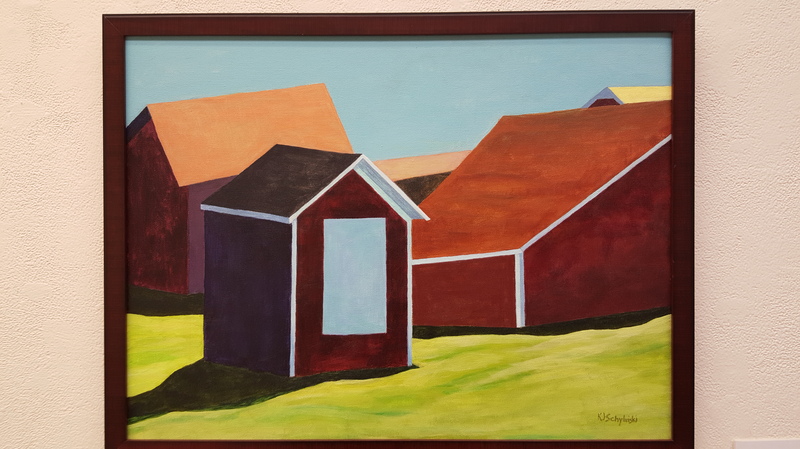 In addition, there is a wonderful show of landscapes and barn paintings by Kathryn J. Schylinski. OMG, I loved her! 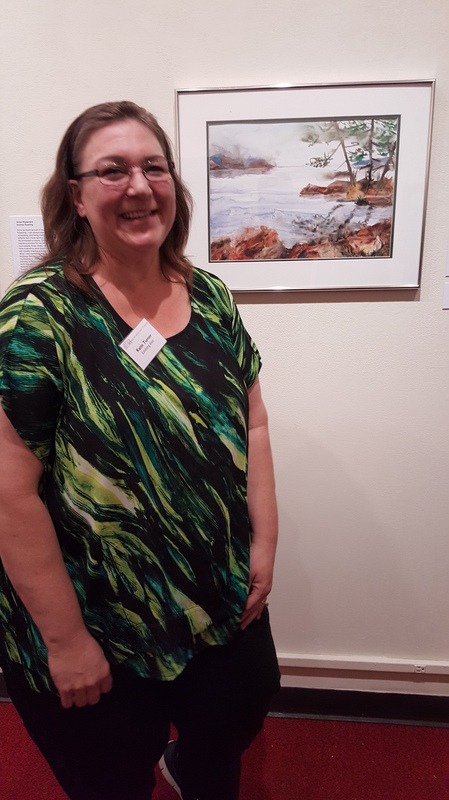 She’s from Skaneateles, NY, but will be relocating to my neck of the woods soon and verbally agreed to working with me in the future – à la my art gallery in the school library! I told her that I sometimes do a painting lesson using Wolf Kahn references and she said she channels Kahn and crosses him with an Edward Hopper flair…and that is so true! You can totally get that. 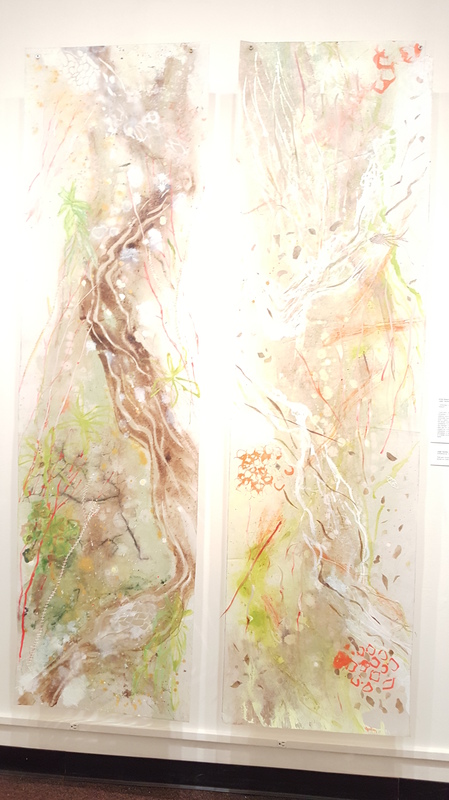 All of the work, including Kathryn’s, is for sale and will be available for pick-up at the end of the exhibit. (Hers ends October 18th as well). 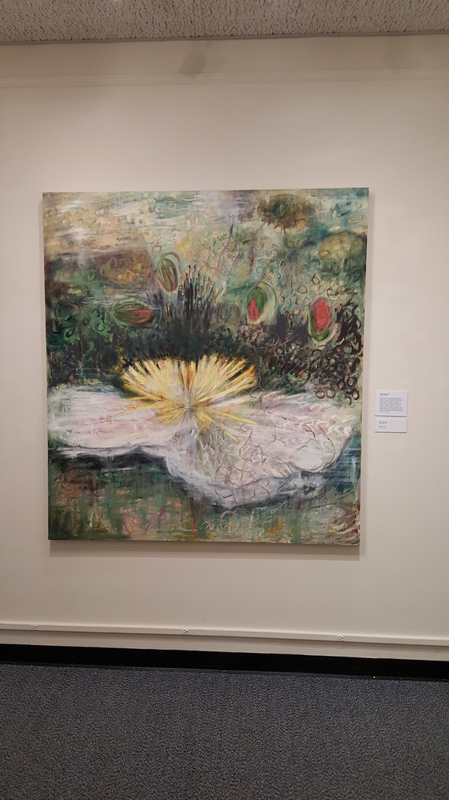 The Schweinfurth Memorial Art Center is located at 205 Genesee Street, Auburn, NY. They are open Tuesday-Saturday 10 am – 5 pm and Sundays 1 – 5 pm. For more information contact them via their web site, www.myartcenter.org or by phone, (315) 255-1553.